NUNM’s Doctor of Naturopathic Medicine (ND) degree is an intensive four-year program that prepares uniquely skilled physicians to deliver comprehensive health care with a heart. Students can expect a rigorous biomedical education. 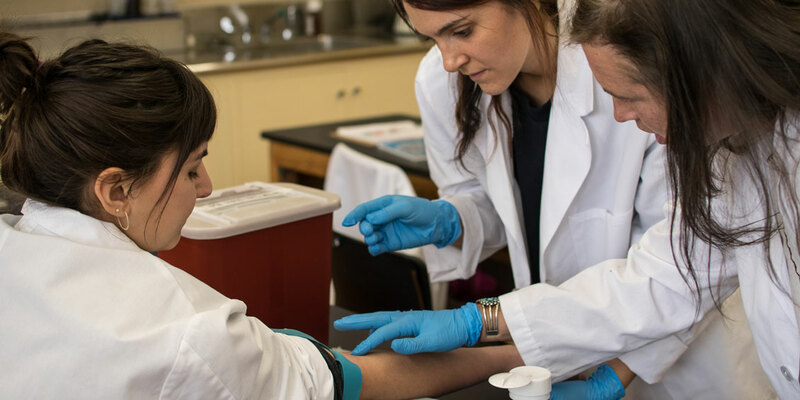 Combining primary care with the foundation of evidence-informed traditional nature cure, we focus on experiential education and our students benefit from a preceptorship program, simulation labs, diverse clinical experiences, internships and research. NUNM is accredited by the Northwest Commission on Colleges and Universities, and the degree program in naturopathic medicine is accredited by the Council on Naturopathic Medical Education. The entire program is focused on how to succeed in practice, how to curb the current epidemic of chronic disease, and how to make a meaningful and positive impact on the communities we serve. In four years, we teach our students to think, critique and develop their individual strengths as healers; to customize evidence-informed therapeutic options to each patient’s situation and preferences; and to motivate and educate patients on how to live with less pain, burden and suffering. Our approach is personalized care with the intent to change lives. As a student, you will learn how to anticipate, guide and coordinate care with specialists, behavioral and mental health providers, and community partners to a diverse community of patients with a range of presenting health conditions. This is followed by progressive and challenging clinical rotations during the first three years of the program. This design prepares students to smoothly transition into the role of physician in their fourth year, under the watchful mentorship of accomplished academic and clinical teachers. NUNM’s active-learning curriculum emphasizes clinical training at our health centers. Students encounter real patients and clinical scenarios as early as their first quarter in our on-campus health center. We are unique among naturopathic medical schools, both for our high quality of patient care, and for the number of clinics in which our students can intern. Our two main health centers are state-certified as Patient-Centered Primary Care Homes (PCPCH), a recognition of our high standards of patient care and patient outcomes―putting NUNM in the same league as Providence, Legacy, OHSU and Kaiser. And at our network of community health centers throughout the Portland metro area, our students have seen and helped thousands of underserved patients. Our graduates are qualified to sit for the NPLEX board examination, which confirms licensure eligibility. Each block of our curriculum prepares the physicians of tomorrow to thrive in the current and challenging environments of healthcare provision in the U.S. Your tuition includes our NPLEX prep courses, which have resulted in very high NPLEX II scores. In fact, NUNM’s 2017 ND graduates scored an average of 96% on the NPLEX II! Unique to NUNM, we offer certificate programs (homeopathic medicine, midwifery and more) and concurrent programs in conjunction with our ND program. Concurrent degree programs include mental health, research, global health, and nutrition and more. “NUNM is exactly where I want to be,” says Josh Corn, ND, MSiMR (Research), as he talks about his experience at NUNM and training in naturopathic medicine and integrative medicine research. After completing the Naturopathic Doctor program at NUNM, students are prepared with unmatched skills and knowledge that enables them to become leaders in public and private healthcare organizations. Graduates of NUNM’s ND program have the requisite skills to secure more than half of NUNM’s 60+ accredited medical residencies positions, which are becoming increasingly required for credentialing with U.S. healthcare insurers/payers. With more than 30 years of teaching experience, Dr. Kimberly Windstar’s extensive medical practice and personal growth work have helped her develop a distinctive style of care. “I strive to create a space of unconditional acceptance for my patients,” she says. Dr. Windstar uses a variety of treatments in her practice, including lifestyle education, botanical medicine, diet and nutritional supplementation, homeopathy, hydrotherapy, holistic pelvic care and more. A recognized authority in women’s health, Dr. Windstar supervises student interns on clinical rotations at the NUNM Health Centers and teaches courses in gynecology, tutorials throughout the core curriculum, practitioner cultivation and mindful self-compassion. She is also the course director for the reproductive systems block. Her love of teaching led Dr. Windstar to create unique clinical mentorship opportunities for naturopathic students for nearly 15 years. 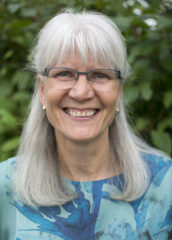 Dr. Windstar received a Master of Education degree from California State College in 1982, and graduated from National College of Naturopathic Medicine in 1991 (now known as National University of Natural Medicine) with a Doctor of Naturopathic Medicine degree. The Doctor of Naturopathic Medicine program may be taken concurrently with the following programs. Prerequisite courses are designed to ensure entering students are academically prepared for the curriculum of the program. Prerequisite courses may be substituted with comparable coursework if the learning objectives are met at the determination of the Admissions Committee, utilizing the evaluation procedures set by that committee. General Biology 2 Science-major level. Must include cellular biology. Competencies may be met through other courses, such as: anatomy, physiology, microbiology, genetics, botany, etc. Lab work required. General Chemistry 4 Science-major level. Two sequential courses in both general and organic chemistry; biochemistry may serve as a substitute for one organic chemistry course. Lab work required for the general chemistry series. General Physics 1 Must include mechanics. Mathematics 1 Must be in algebra, calculus, or math-based statistics. Psychology 1 Human psychology covering the life span. Social Sciences 1 Courses in the areas of anthropology, archaeology, economics, geography, history, law, linguistics, politics, psychology and sociology will satisfy this requirement. Humanities 1 Courses in the areas of art, religion, philosophy, literature, music and other related fields will satisfy this requirement. Science-major level. Must include cellular biology. Competencies may be met through other courses, such as: anatomy, physiology, microbiology, genetics, botany, etc. Lab work required. Science-major level. Two sequential courses in both general and organic chemistry; biochemistry may serve as a substitute for one organic chemistry course. Lab work required for the general chemistry series. Must be in algebra, calculus, or math-based statistics. Human psychology covering the life span. Courses in the areas of anthropology, archaeology, economics, geography, history, law, linguistics, politics, psychology and sociology will satisfy this requirement. A chronological resume of work, educational, and volunteer experience. Include work experience, internships, research, activities, publications, community service, and any honors/awards received. ** Click the dollar amount to see an itemized list of fees for the ND program. What components of Ayurveda excite you and how do you anticipate using your training in your future career? The above tuition numbers reflect only the cost of the primary program (Doctor of Naturopathic Medicine). Concurrent degree plans are established individually and each term is priced accordingly. The credit hour fee is consistent across all graduate programs. Mathematics 2 Must be pre-calculus, calculus 1, or math-based statistics. Must be pre-calculus, calculus 1, or math-based statistics. Please discuss the specific factors that drew you to apply to the Classical Chinese Medicine program at NUNM.